I like working with smart and creative people to make interactive products that users find entertaining, beautiful and useful. These are my favorite recent projects from my time at AKQA. 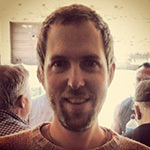 As Associate Director of Creative Development, I was responsible for development and engineering for leading brands including Anheuser-Busch, Activision, Audi, Xbox and Target. I oversaw front end development of the AudiUSA.com site redesign, especially focusing on the car configurator and global UI components. 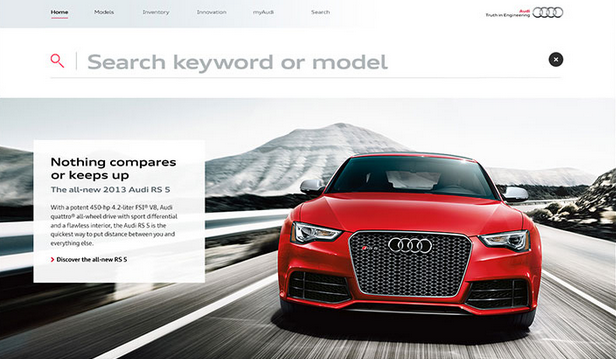 The site is fully responsive and includes several integrations with Audi's global data partners. Managed a global front-end development team; interfaced with Audi data partners in Germany. Experience with test-driven development and continuous integration pipline. Site contains complex Adobe CQ5 and Scene7 integration. Site uses predictive analytics to optimize content for the user. 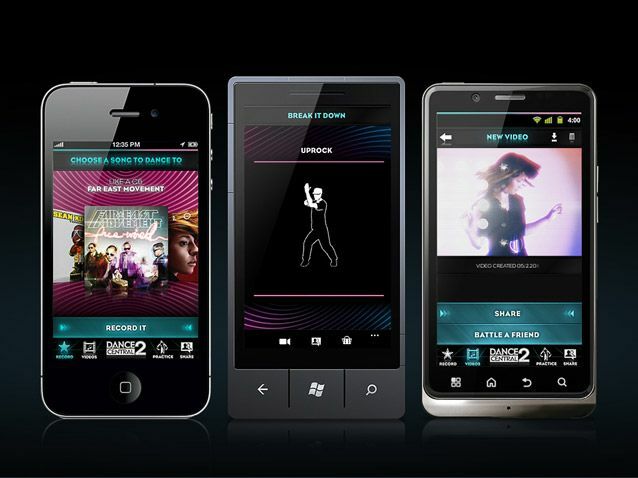 I managed creative development of the Dance*Cam iPhone, Android and Windows Phone 7 app for Dance Central 2. The mobile app ran Adobe After Effects in Microsoft's Azure cloud to add special effects and "auto-tune" the user into their very own music video. Managed mobile development through an external development partner. Users can challenge each other to dance battles with videos posted on Facebook. Music videos are generated in the cloud, using Adobe AfterEffects running on Microsoft Azure. The Halo "Remember Reach" site used an automobile assembly robot with a laser pointer to create a monument from 60,000 points of light. 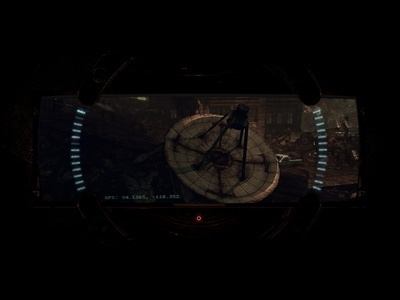 Each user could select a single points of light, which would in turn be illuminated by the robot and composited into the scene. The activity of the robot was live-streamed over the website for the duration of the campaign. Site used Microsoft's Smooth Streaming video technology to live-stream the robot activity. I designed the algorithms for users selecting points of light and the constellation fade routine. Here are more projects that I did as a Senior Creative Developer and Creative Development Manager at AKQA and EVB. 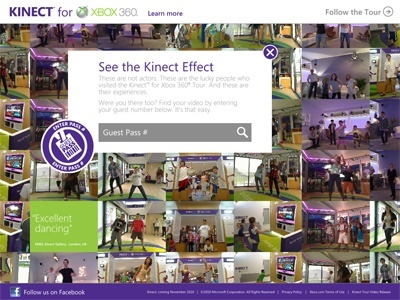 The Xbox “Kinect Me” site was created to complement the Kinect for Xbox 360 global tour. It was featured in the 2011 Communication Arts Interactive Annual. The Alan Wake "Reveal" take-over ad allowed users to use their mobile device as a flashlight to reveal scenes from the game in a web ad. 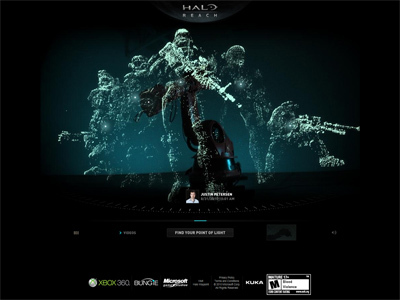 The Halo 3: ODST website was one of the first examples of Silverlight Smooth Streaming video technology, which enabled the nonlinear video navigation and multi-dimensional storytelling. I was the lead Flash developer of the Gears of War 2 Flash site. 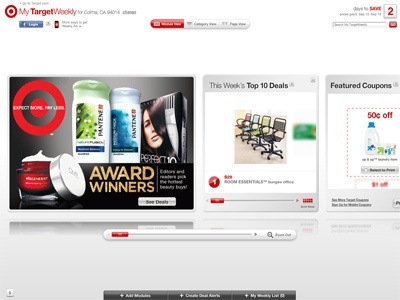 I was the Creative Development Manager for the online Target Weekly Ad in 2010. The site allowed users to share, comment on and "love" products, set up email and SMS alerts and explore product recommendations based on Facebook "Likes." I led development of Target's "Giftacular" augmented reality sweepstakes. The user could spin the wheel of gifts with their Target print ad in order to win coupons for Black Friday. 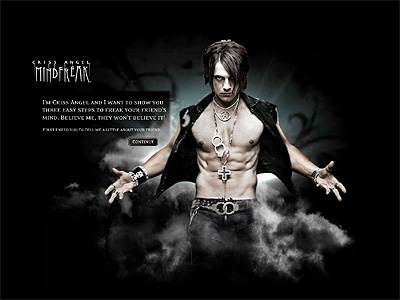 Nearly three million people visited and sent the customized Criss Angel video prank. I developed the PHP back-end service that assembled audio and video snippets into a cohesive video that seemed magically created just for them. 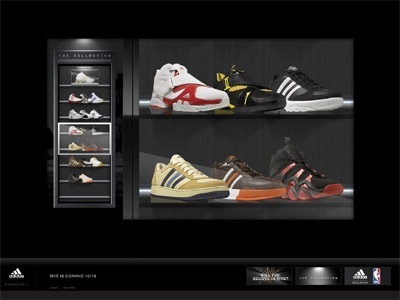 I was the lead frontend developer for the adidas "Believe in 5IVE" site. While at EVB, I was the lead developer of the "Friends of Bright" site for Wrigley.